Commerzbank AG has a notable void in its FX operations following the abrupt departure of Stefan Hamberger, head of electronic sales for fixed income and currencies (Fic), after nearly a decade at the bank. 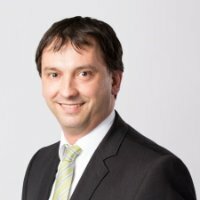 Mr. Hamberger worked out of Commerzbank’s Frankfurt office since 2006, where he held a number of executive-level roles, including his most recent as the head of e-Fic. Prior to this he was also the global head of FX bank sales and FX e-commerce sales. Prior to joining Commerzbank, Mr. Hamberger worked in senior level sales roles at Dresdner Kleinwort Wasserstein, ABN AMRO and BNP Paribas.